OLD PARKED CARS. 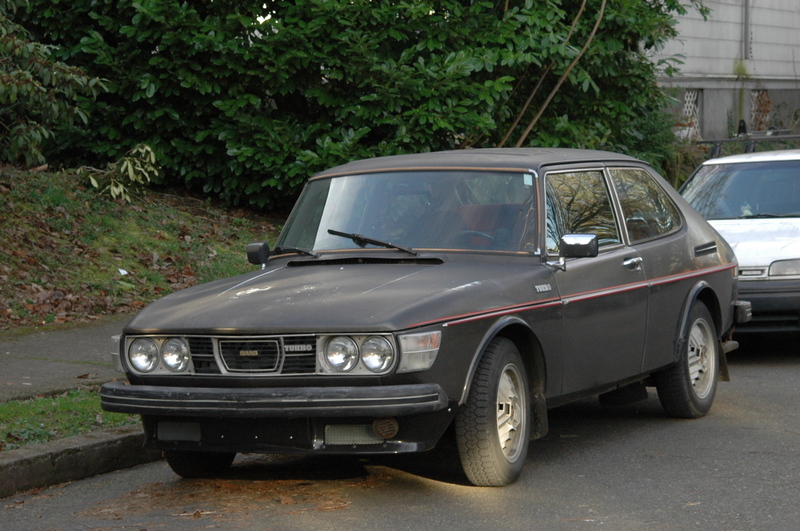 : One Day, Two Saabs: 1978 Saab 99 Turbo. 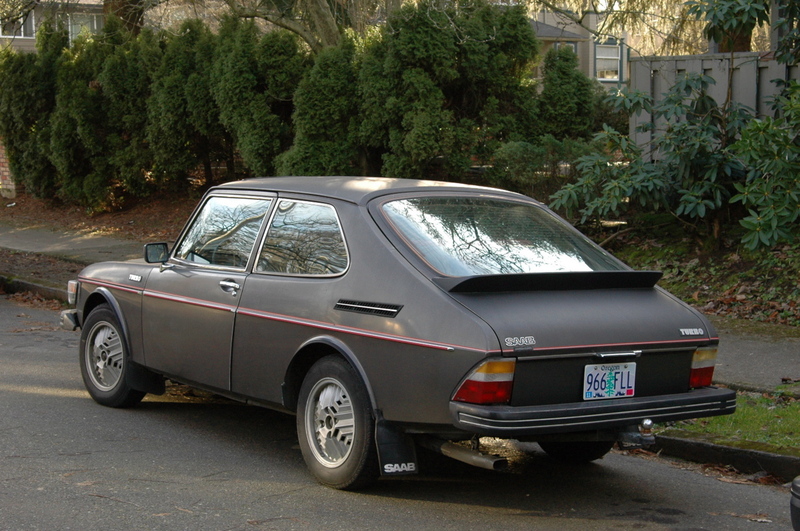 One Day, Two Saabs: 1978 Saab 99 Turbo. Whoa. They give a damn. Check out those tires. Vredestein? That's one of the coolest cars I've ever seen. 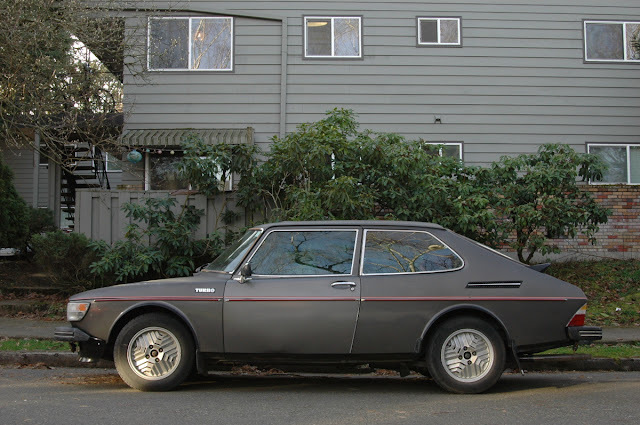 I can't think of a more tempting late 70s tiny car. 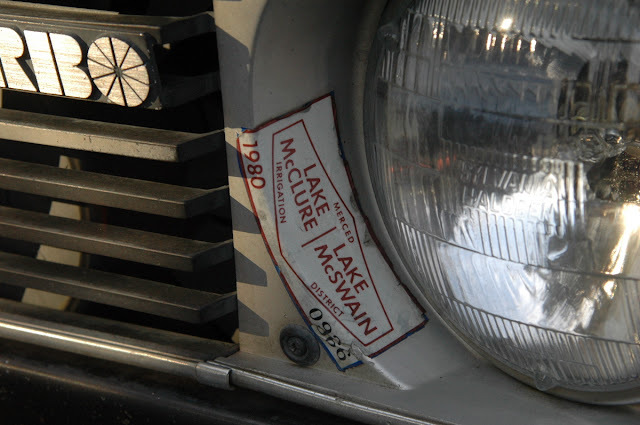 I can't believe you didn't give me a complete closeup of the grill emblem! I think I'll buy one of these early turbos someday, serious. I bet Atika would go for it. Even crazier: tires look more like michelin xzx. Atika's into the idea, unfortunately there seem to be zero for sale in the US. Anyone recommend a source that's better than Craigslist?